About a year ago the RSPB, along with Friends of the Earth and Greenpeace, put the cat among the proverbial pigeons by arguing that use of some woodfuel is "Dirtier than Coal". This caused controversy amongst woodfuel zealots but the study showed that not all woodfuel is created equally. The report was particularly concerned about subsidies which encourage the burning of whole trees where they are grown especially for woodfuel, and where these displace other land uses often to be transported long distances for power stations. The "Dirtier than Coal' report said that full carbon accounting was necessary and we should take account of the short term effect of clear felling rather than using thinings: clear felling can lose the benefit of carbon fixing which is achieved by letting trees grow on. 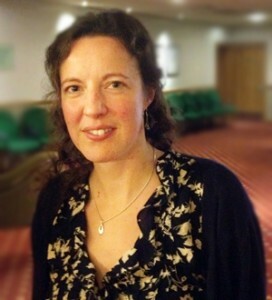 The RSPB position is that we need to do full carbon accounting, create new woodlands and set up coherent sustainability standards.So when Melanie Coath appeared at the Wood Fuel Conference in Surrey earlier this month she was potentially going into the lion's den: a mostly male gathering of woodfuel enthusiasts and practitioners, who were very challenging of the Dirtier than Coal report. Her approach was to explain how nuanced the issues are, and to suggest a hierarchy of desirable woodfuel sources - where the most desirable woodfuel sources are local by-products of forestry (such as arisings from tree management), the next most eco source is from medium term production (such as thinings), and the least justifiable is imports of whole trees, especially where these come from unsustainable sources. 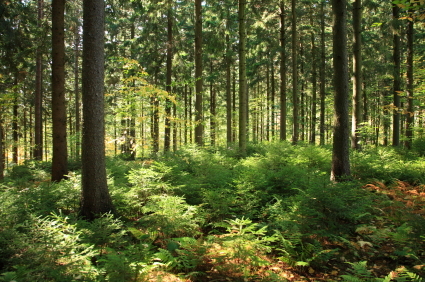 For the RSPB, the use of whole trees for woodfuel would be especially unwise if it leads to an indirect land use change and displaces food production or even if it displaces timber production which would otherwise be fixing carbon. The RSPB has recently moved on from being a purely bird protection charity and now says, "Our mission is to save nature" - so they are fully engaged in other wildlife issues as well as climate change initiatives. The RSPB has grown into a big charity, too, with over a million members and over 20,000 volunteers at 200 nature reserves, so their views on woodland management are pretty important. 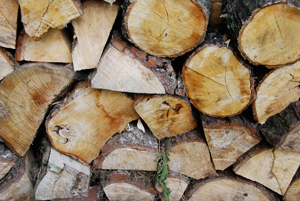 In their reserves, they practice what they preach and the RSPB policy is to use arisings from clearance for biomass and for the creation of briquettes for firewood. But the complexity of the issues means that the controversy over Dirtier than Coal will run for a while yet. Stuart Goodall, the CEO of Confor, challenged Melanie Coath by stating that, "the reality is that the Dirtier than Coal report did a whole lot of harm to woodfuel and is still doing so. In meeting after meeting we are being told that woodfuel isn't helping and that the RSPB is doing a lot of damage". Melanie tries to separate out the issues and suggests that the differences between different sources of woodfuel is at the heart of the matter - once we stop supporting all wood burning regardless of its source we will be doing more for long term sustainability. One example of unsustainable practice is the use of monocultures such as those in British Columbia (where pine beetles have damaged vast quantities of timber). It is, in fact, hard to get one's head round the scale of this - the damaged Canadian trees represent 20 cubic kilometres of timber which, if my sums are right, is around 10,000 times the annual timber resource in the South East of England. Here,we have an unsustainable monoculture which has suffered enormous biological attack but in being cleared presumably now represents a huge volume of "arisings" which could legitimately be used for wood fuel - if they can be transported without using too much fossil fuel. Oh dear – yet another once worthy group, The RSPB, that has stepped away from its original remit and become a political organisation. The other one is the RSPCA but maybe that’s an issue for another day. The RSPB now says its mission is “to save nature”. This is ill-conceived nonsense. Nature doesn’t need saving. What groups like the new-look RSPB seem to fail to understand is that evolution has not stopped. It continues inexorably as it has for millions of years. There seems to be a feeling abroad that in some way the entire ecosystem has reached its ideal state and that we must now do whatever we can to maintain the status quo. This is absolute rubbish! There is nothing special or unique about the current bio-ecological state of the world. It just happens to be in the current state but will continue to evolve and adapt to whatever changes come along. This is a really fundamental property of all biological systems – they adapt to their environment irrespective of why the environment is changing.